It’s summertime again—the season for social gatherings! No matter the occasion, you can host a sophisticated soiree that will impress your guests. One of the best parts of hosting a summer party is the versatility. Whether you’d rather soak up the sun with friends, or admire the starlight backdrop in your backyard, you have options! Just remember to plan around the event your envisioning. Regardless of what you’re celebrating, carefully select your guest list. With your invitees in mind, pick a venue that suits the occasion. Invitations are a must. If you’re planning something more formal, send invitations by mail. A well-crafted message should inform guests of purpose, location and details. Elegance is in simplicity. Set the atmosphere for your guests. Don’t overwhelm them with a compilation of summer themes. Do add a pop of color to your table. There are plenty of gorgeous flowers this summer for centerpieces, like dahlias and peonies, and they can easily be accented by lovely plating. If you’re hosting at night at home, don’t forget to consider lighting. Aside from the enjoyment of company, what you serve will leave the most lasting impression on your guests. If you decide to hire a caterer, ensure they come with stellar recommendations, and have your vision right. If you want to prepare it all, give yourself plenty of time for prep, and perhaps recruit a few trusted friends. Either way, set your menu and your beverages to complement each other. Good music livens the mood! If this is an informal event, consider having a few options for games. It will better acquaint new friends with old. Graciously thank your guests for coming, and give them a favor if appropriate. No matter how the evening flows, remember to have a great time. A luxe hostess always combines fun with flare. Thank you! 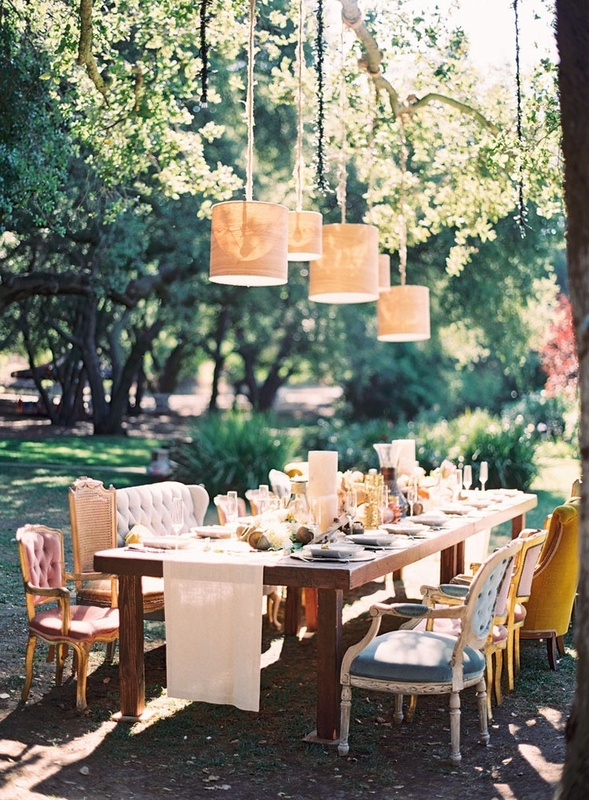 Event planning can be quite fun, especially when you know what theme you’d like to have! Congrats to your son & good luck with the planning!